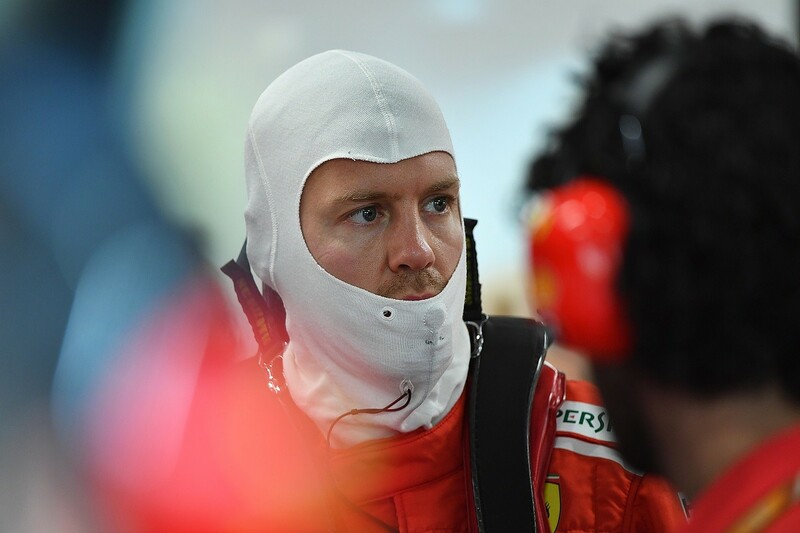 Before practice in Singapore, Sebastian Vettel admitted that "the biggest enemy is me" in Ferrari's attempt to win the 2018 world championship. And so it proved on the opening day of track action at Marina Bay as he struck the wall exiting Turn 21 during the second session. Friday practice is as good a time as any to ding the wall, and such an error certainly has a significantly smaller impact on a driver's chances for the weekend than doing so in qualifying or the race. But it meant Vettel failed to complete his qualifying simulation and, more importantly, was not able to do any long-run work thanks to the premature end to his session. Vettel is no fool, and was frank about the errors that have cost him this season - particularly his off in the wet while leading the German Grand Prix. He knows better than anyone that he should be leading the world championship, and with time running out pressure is building not to squander this chance. Whether that played a part in his mistake on Friday is a moot point - things like this happen on street circuits. But the loss of track time combined with another mistake, even one that could prove to be nothing more than an insignificant footnote in his season, can't fail but to have at least a small impact. With seven rounds remaining and a 30-point deficit to Lewis Hamilton, this is another race that Vettel really needs to win. Based on Friday, the Ferrari has the expected pace advantage - but only by 0.011 seconds based on Kimi Raikkonen's fastest time. Given Vettel did not complete his qualifying simulation it's valid to ask if he would have been quicker than Raikkonen. But through the first two sectors, he was actually a few hundredths slower, so it's fair to assume Raikkonen wasn't leaving pace on the table that Vettel would have delivered. "Obviously, I tried a little bit too hard and we lost some time, but I think overall the car is working," Vettel said after second practice. "I think we can improve it from where it was. It is not yet where I want it to be, but for tomorrow I think we should be in a better place. "We took a precaution and decided not to run, obviously we lost some time, which is not ideal. Nevertheless I think I've got a good feel for the car and thankfully I've been here before so I know the track. Tomorrow, it will be key to find the right balance and to feel the car a little bit better than this evening, and then I think we should be fine." On long-run pace, based on laps set on hypersofts, who has the edge depends on how you look at it. The below figures are based on runs of six counting laps, with anomalous slow laps omitted, and look very encouraging for Ferrari. But when it comes to long runs, there are multiple ways of looking at them. Raikkonen's run featured eight flying laps, and for the final two (not factored in above) he dropped into the 1m47s bracket and appeared to be in trouble with degradation. Hamilton went to seven laps, with a drop off on the seventh that was similar to Raikkonen's but he didn't continue. There's a suggestion there that both might have struggled in equal measure, but the big step between Raikkonen's seventh and eight laps of over eight-tenths of a second hints at a possible concern for Ferrari. The usual Friday caveats apply, and we can expect Ferrari, as always, to make a good progression from Friday through to qualifying. Likewise, Vettel's programme rarely allows him to shine on the opening day of practice, so there is every chance Ferrari will get a bigger advantage. 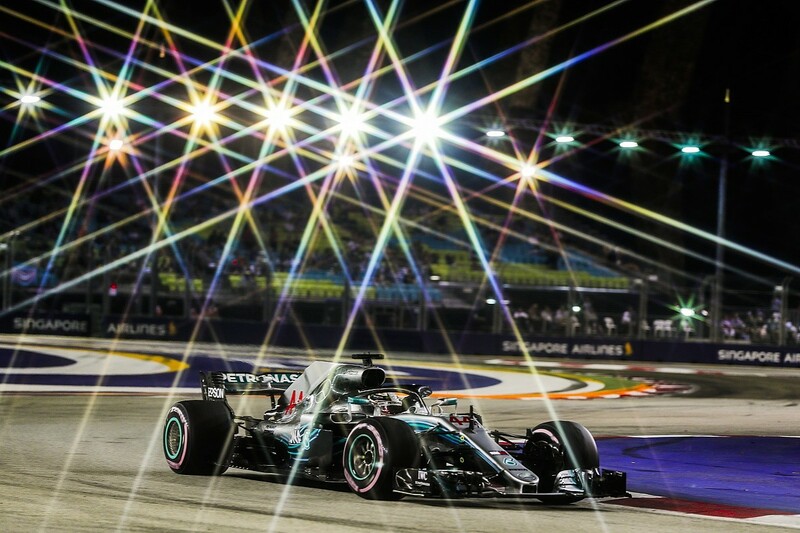 But given much of its advantage is down to the engine package in qualifying, which is the case if certain rivals are to be believed, Singapore is a track where that could be mitigated. After all, this is a circuit where drivers are on full throttle for only 36% of the lap time. Mercedes, at a track where it has historically struggled during the V6 hybrid era even when winning, made good progress during the day after curing an understeer problem between sessions. "We got the car pretty happy for a single lap in the second session; likewise, the long-run pace seems to be in the mix," said Mercedes technical director James Allison. "There is still more work to do: we want to cure some nervousness under braking and Valtteri's balance wasn't quite right in his long runs. But if we compare the situation to what we experienced last year, then today's running makes us more confident that we are in the hunt this weekend." Which brings us back to Vettel. While it would be hyperbolic to say he absolutely has to win this race, he cannot afford to keep squandering big chances. 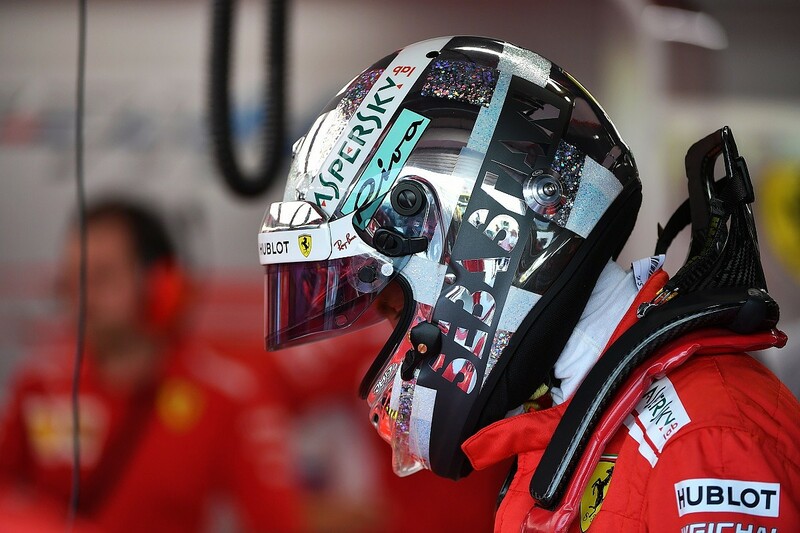 The mistakes that have cost him are well-documented - the failed attempt to take the lead in Azerbaijan, the crash at the start of the French GP, his shunt in Germany and spin in Italy - but he has still got every chance of dominating from pole position this weekend. But could what happened last year play on his mind and add to the pressure? 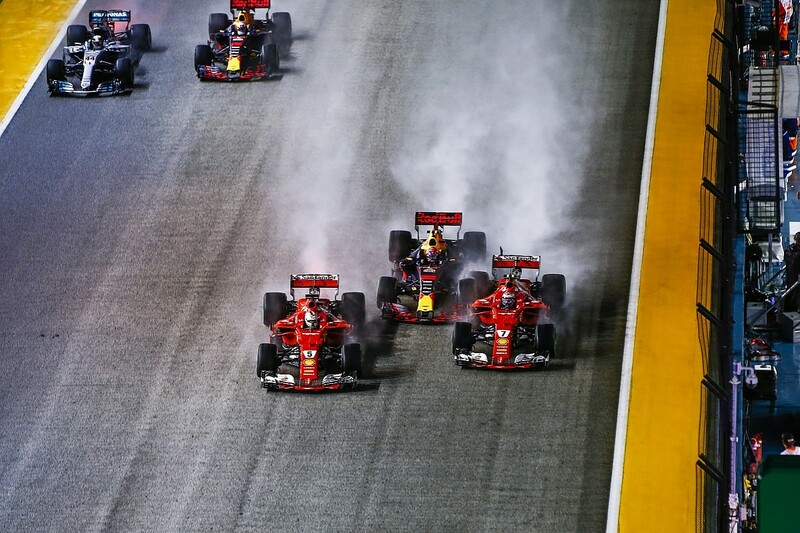 This was the moment the 2017 world championship battle turned decisively away from Vettel thanks to the start shunt triggered by him pulling across on Max Verstappen and Raikkonen after a poor launch in damp conditions. By and large, Vettel is good at taking responsibility for errors that he considers to be his fault - such as the Hockenheim crash that he says doesn't now concern him because he understands why it happened. But he did not chalk up Singapore 2017 as his error, as he explained in an interview with Autosport late last year. "I've looked at it plenty of times," he said. "I do understand the people that say, 'Ah, it's all wrong!' Do I agree? Not necessarily, because, put yourself in the car, [with] how much mirror you have to watch, all I could see was Max. If you then think about another guy, another guy, another guy, well where do you stop? "Then people try to interpret it - a lot of intelligence in that moment where other people went OK, then stupidity when it ended up in a crash. But then you could also argue it's just luck or no luck, or just how it came together. Then there are other reasons. I had an average start, Kimi had a great start. In theory, Kimi should have a worse start than I had, but it happened that the grip was so good that he had a better start, whatever. "So, in the end, it is a racing incident. 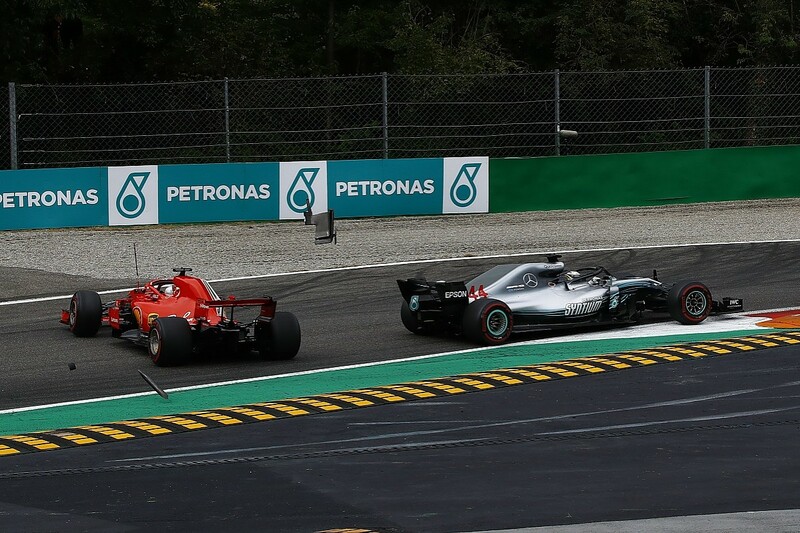 For sure, it went bad for me, it went super well for Lewis, because he didn't have to do anything and he found himself in the lead after three corners. But that's how it goes sometimes. "If it works in your favour, you don't spend so much time thinking about it. It all comes down to 'would you do much differently?' Probably not, because I don't think my move over to Verstappen was overly aggressive. I stopped in the moment where I got the hit to give him the room to dive into Turn 1 to cut back on the inside, but it never came to that point..."
Vettel is right that it's perhaps too easy to judge an incident like this when given time to digest it, without the pressures of making the decision in the moment. But it's in these situations that he is prone to misjudgements. Leading from the front, he's excellent. And even when not starting up front and winning by executing the right strategy, even if that involves overtaking, is something he has also achieved time and time again. But often the mistakes come when the race is not going quite as he hoped. 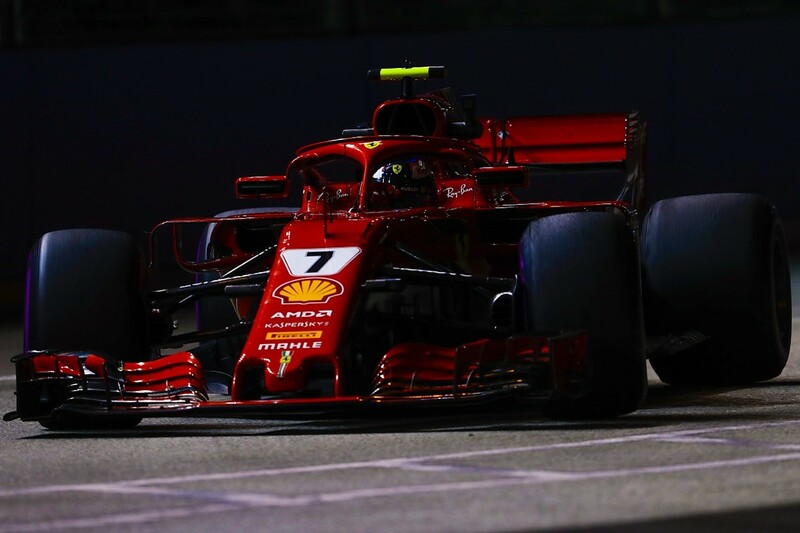 In Singapore last year, in a car that wasn't as consistently strong as this year's Ferrari and at a track that offered probably Ferrari's last clear-cut pace advantage over Mercedes, he had to win. Once he'd made the bad start, in second gear, the decision-making process seemed to go awry. Yes, visibility is poor and he couldn't know two cars were to his left - but it's always possible. Moving left to the extent he did was not the percentage play, and he did it knowing he needed to stay ahead at a track where passing is very difficult. All of this happened over a few seconds, but it's in these moments of improvisation, of snap decision in pure racing situations, that Vettel occasionally flounders while title rival Hamilton now thrives. It was a similar story at Monza. Had he jumped Raikkonen at the start, as he surely hoped he would, Vettel would probably have won. But he didn't, and he didn't play the second chicane well, meaning he ended up last and with damage. Those are the situations he needs to ace. It may be that Vettel isn't confronted with any such circumstances this weekend. He is the favourite and is more likely to dominate than to repeat his error - after all, there are few better at working on the car through the weekend and crushing the opposition even with only a small pace advantage. But there will be a time in the remaining races where he is faced with a situation where he has to improvise, to calculate on the hoof. That's the big challenge that awaits Vettel in this battle for the championship. Vettel is saying all the right things, that he won't dwell on the errors, that they won't be in his mind. And ideally, they shouldn't be because all he can do now is focus on acing the last seven race weekends. But racing drivers are human beings and there's a reason why psychology is such a significant factor in elite sport - he's probably trying to convince himself that he's not affected by them more than the rest of the world. The brush with the wall on Friday, while insignificant in the grand scheme of things, might just have added a touch more pressure onto his shoulders. To be the 2018 world champion, he must withstand that or risk falling short. Then again, you don't win four world championships without being able to shoulder serious amounts of pressure. After recent mishaps, it's time for Vettel to show his class again and get his bid firmly back on track.